Sega Master System | Shocking Videogame Secrets! 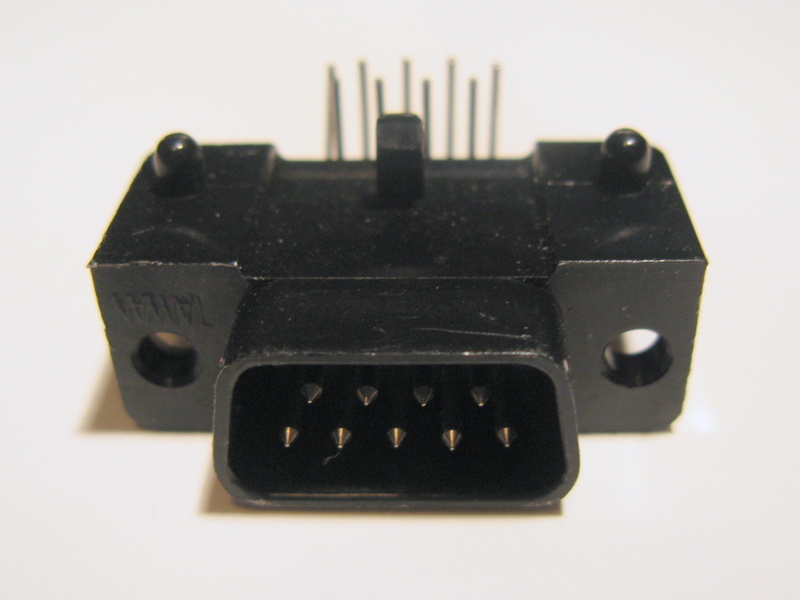 Hi, I’m the Atari joystick connector. You may remember me from such..
From the late 1970s and all through the ’80s, DE9s without the pair of fastening screws were almost universal as game controller connectors on video game consoles and home computers, after being made a de facto standard by the use of such game ports in the Atari 2600 game console and the Atari 8-bit family of computers. Computer systems which use them include Atari, Commodore, Amiga, Amstrad, and SEGA systems, among others, but exclude Apple and PC systems and most newer game consoles. Used in the standard way, they support one digital joystick and one pair of analog paddles; on many systems a computer mouse or a light pen is also supported through these sockets, however these mice are not usually exchangeable between different systems. DE9 connectors are also used for some token ring and other computer networks. DA15 is used for Ethernet Attachment Unit Interface. In 93/94, Atari sued Sega for violating 70 different Atari-held patents. One of which, I remember people mentioning at the time, was for using that off-the-shelf controller port in the Master System and the Genesis. They settled out of court, with Sega giving Atari $50 million in cash and agreeing to buy another $40 million worth of Atari stock (so basically, Sega lost $90 million). That’s why everybody stopped using that port. Mari-oh, the original first level boss for Alex Kidd in Shinobi world.